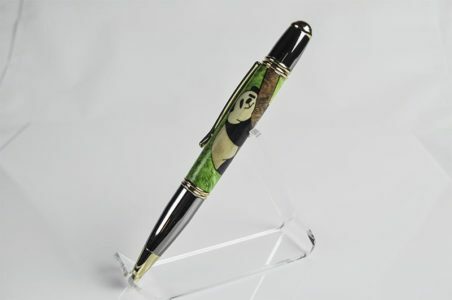 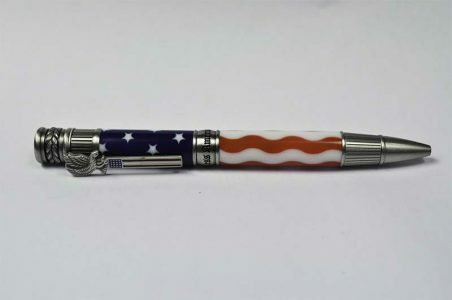 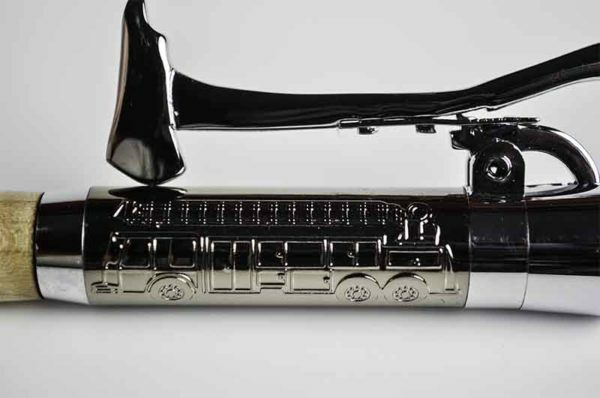 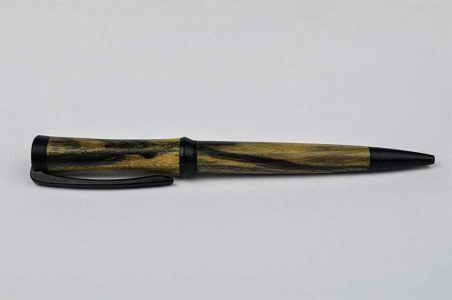 Any firefighter or first responder would love to own this pen! 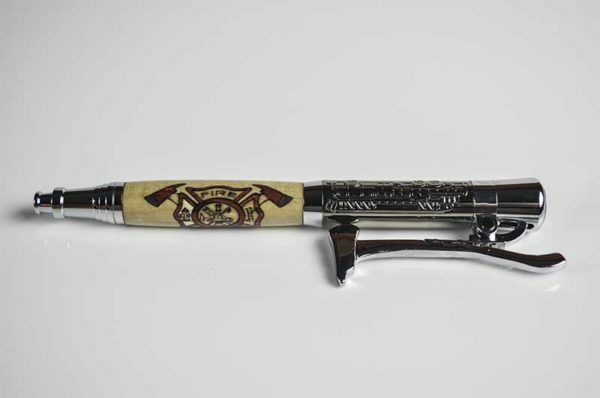 The top barrel has two etched ladder trucks along with the Firefighter emblem on the top. 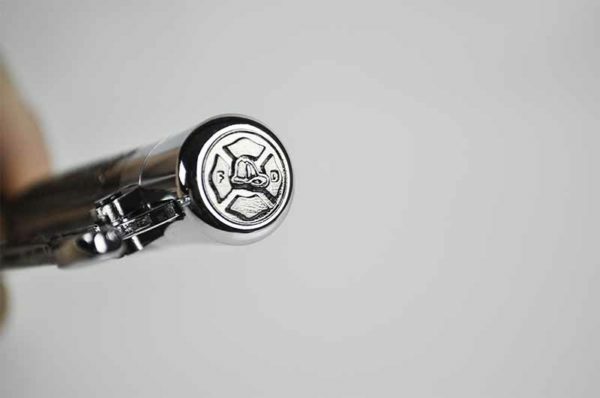 The bottom barrel is the end of a fire hose. 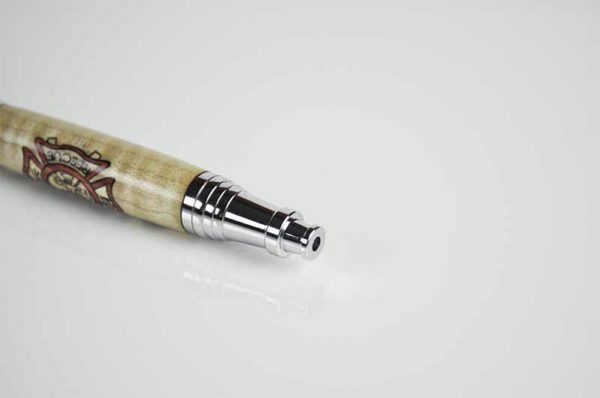 The clip is none other than an ax that you pull to extend and retract the ball point. 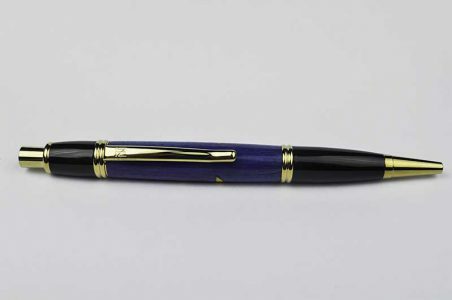 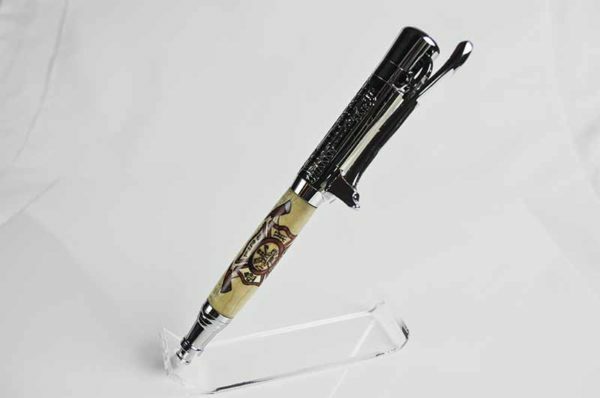 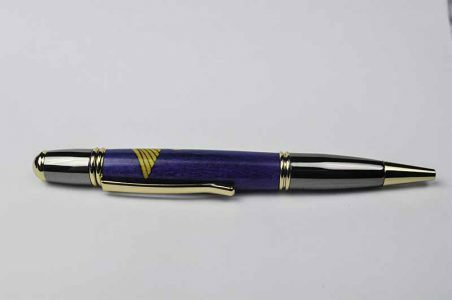 The body of the pen is beautiful wood with the Fire and Rescue emblem inlayed, with each little piece intricately placed.